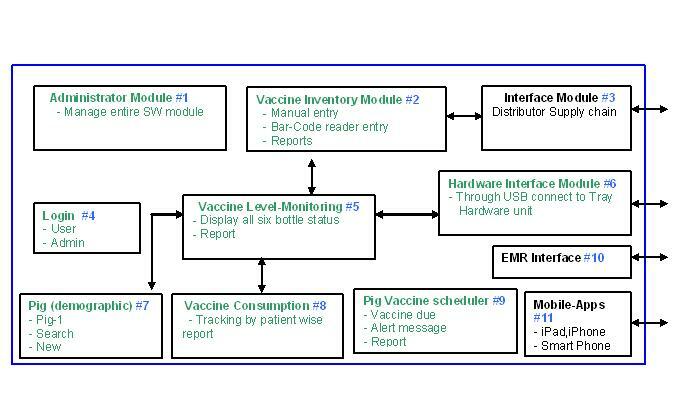 The FMS Smartray™ Internet of Things IoT ,monitors and controls medication vial usage (remaining doses, expiration/open date, lot number), reduces waste and automates the inventory/supply chain process. 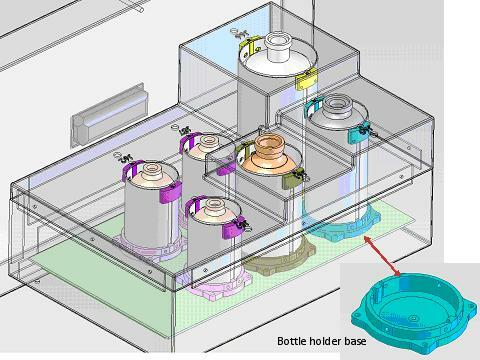 This is accomplished by a proprietary radio-frequency technology developed by FMS to measure liquid level inside sealed vials – a non-invasive technique. Traditional liquid measurement methods are used on large vessels and require some measure of contact with the liquid – an invasive technique. 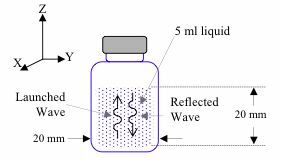 Even those which can measure liquid level in small containers require an open-topped vessel which compromises integrity of the medication. An electronics module interrogates the Smartray™, which can contain multiple vials, and transmits data wirelessly to existing networks. 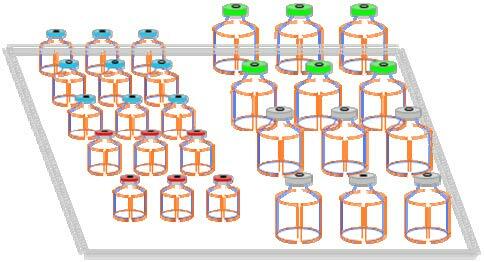 Plus, one module can monitor multiple trays. Integral software monitors inventory and provides a system alert or is directly connected to a supply chain system. The system can also be integrated with EMR. The system database stores all vial information (contents, manufacturer, lot number, expiration date, and others, such as temperature) and is fully searchable to monitor health and usage trends. Also, to identify exposure to bad lots retroactively. United States Patent and Trade Mark Office (USPTO) granted FMS a US Utility Patent # No. 8,467,981 B2 entitled: "NON-INVASIVE LIQUID LEVEL SENSING SYSTEM AND METHOD" Issued 6/18/2013. United States Patent and Trade Mark Office (USPTO) granted FMS a US Utility Patent # No. 9,140,597 B2 entitled: "NON-INVASIVE LIQUID LEVEL SENSING SYSTEM AND METHOD(Continuation Soild Pills & Liquid Measurement)" Issued 9/22/2015. The Non-Invasive Liquid Level Sensing System; can measure liquid levels in multiple vials simultaneously. 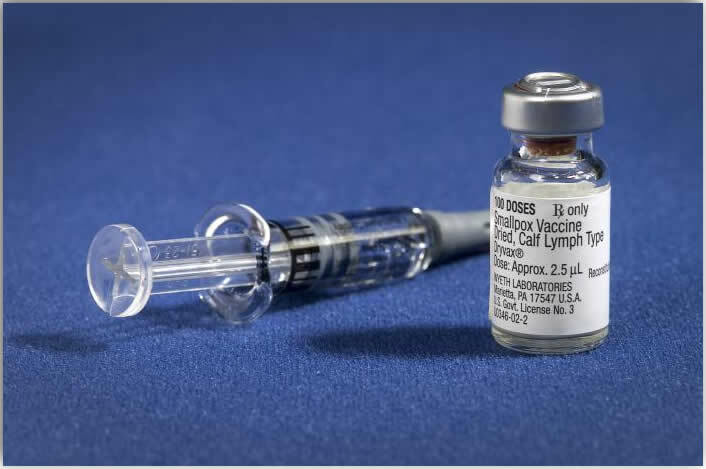 The non-invasive technique determines the number of doses remaining in vials. FMS patented Radio Frequency based Liquid Level Sensing technique monitors and measures the amount/volume of liquid in a sealed Vial non-invasively . FMS, VETrak® inventory automation management software system architecture and workflow . FMS, VETrak® Mechanical Design . FMS is working on several new innovation, technology and product ideas to address Beverage measurement & control system for Hospitality industry and Liquid & Gas measurement control system for Transportation & Gasoline industry .